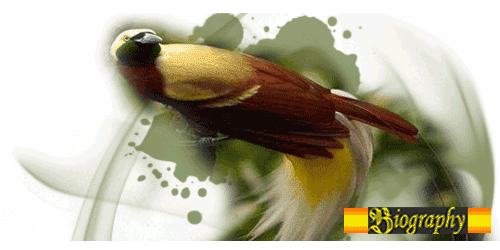 Bird of Paradise is one of the favorite bird and become part of the hallmark in Papua. So, definitely a lot of people confused and how to find the bird this one. Papua surround it never found said end, for all regions in eastern Indonesia have in store beauty including the Bird of Paradise. Reported Indonesia Travel, Thursday (26/03/2015). If you want to see birds of paradise and other birds that only exist in Papua take the motor boat to the island of Bantata about four hours. If you want to see the scenery more beautiful birds of paradise can visit the island Waigeo within approximately five to six hours by motorboat. Another way to reach the island Waigeo, then you should go to the town of Sorong in advance, precisely Eduard Osok Domne Airport in Sorong. Upon arriving to take a taxi to the pier Sorong. After boarding the ferry that can used as public transport to cross the crosswalk predetermined schedule. If you want a flexible departure schedule with faster travel time, then can rent a speed boat or long boat with a fairly large rental fee of course. One speed boat or long boat can carry 10 to 15 people. Upon arrival, then you can go to the village Sawinggrai example, you can observe four species of paradise. If too late, it can stay in Waigeo or Sawinggrai, you must bring your own tent or sleep in the hut locals.